Change is Coming to Facebook Custom Audiences. Be Ready. A big change is coming that will impact anyone using Facebook Custom Audiences for ad targeting. Starting July 2, when you upload a target list to Facebook Custom Audiences, you’ll need to identify whether the individuals on that list came from first- and/or third-party data sources. Also, you’ll have to state that you have consent from those individuals to target them with ads on Facebook. Facebook’s new policy clearly takes a page directly out of the GDPR playbook. So if you thought you could escape the consent requirements of GDPR by limiting your Facebook ad targeting to non-EU countries, think again. Like it or not, Facebook is still among the top properties with the greatest reach. And it offers audience targeting that makes advertisers swoon while other publishers groan with envy (unless those publishers are creating audience-based ad products using a CDP, but that’s a story for another day). Ever since Facebook eliminated third-party data for ad targeting, it’s become even more critical for advertisers to maximize the first-party data opportunity that Facebook Custom Audiences offers. Because let’s face it – your first-party data is your most valuable marketing asset anyway. If you want to target more sophisticated audiences using Facebook Custom Audiences while also complying with the new consent requirements, you must first unify all of your first-party data at the person-level in a centralized location. First-party data unification means collecting unique identifiers like email address or phone number, descriptive attributes, interests, preferences, and real-time behaviors across all your channels, devices, and data sources, and then storing all of this data into person-level profiles. Most importantly, you must capture individual consent status in every profile with the ability synchronize consent across your entire martech stack – including Facebook Custom Audiences. 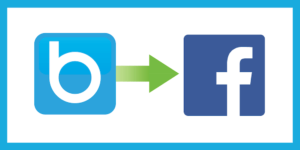 In just a few clicks, you can start passing data to Facebook from BlueConic’s CDP using an out-of-the-box connection. Here are a few ways advertisers are enhancing their Custom Audiences with BlueConic. Because BlueConic offers consent management as a standard feature of the platform, you can rest assured that you won’t accidentally target someone on Facebook who has explicitly denied consent to be targeted. Given the new Custom Audiences requirements that Facebook is launching in July, having the ability to update Custom Audience lists as individuals provide or deny consent will be critical to your Facebook advertising programs. Since no one has ever said “we’re absolutely OK with wasting our ad budget,” eliminating wasted impressions has become an even bigger focus for many advertisers. With real-time segments powered by BlueConic, you can ensure that you are only targeting people that fit your desired segment – even as individuals move in and out the segment. No matter how you define your segments in BlueConic, as soon as a person no longer fits into the criteria, she is removed and immediately pulled out of the corresponding segment. You can even create new look-alike Custom Audiences based on the descriptive and behavioral attributes of your most valuable customers. Or you can suppress recently-engaged individuals from being exposed to your acquisition campaign ads. No more wasted spend for you! A leading rental company improved their conversion rates using BlueConic’s Facebook Advertising connection to target “shopping cart abandoners” using Custom Audiences. In BlueConic, they built a segment of individuals that started down the path to purchase, but failed to complete the purchase. By pushing that segment to Facebook, it allowed the brand to specifically target those abandoners with compelling offers to come back and complete the purchase. Furthermore, the shopping cart abandoners were also segmented by product to ensure the offer each individual received was related to his or her specific shopping interests. Because BlueConic segments update in real time, as soon as an individual came back and completed the purchase, she was immediately removed from the abandoner segment so no additional impressions would be targeted to her. BlueConic offers real-time behavioral segments as a standard feature of the platform. This means, all BlueConic customers have the ability to target customers that have exhibited no recent activity, or customers that have recently demonstrated a drop in momentum, indicating they may be at risk to churn. No configuration required. Facebook Custom Audiences allow you to upload static lists for targeting, such as a customer list from your CRM or a newsletter subscriber list from your email marketing platform. This is a good step in the right direction, but it’s less than efficient. Instead of repeated manual uploads, BlueConic’s Facebook Advertising Connection allows you to start automatically passing data. It only takes a few clicks to set up! Want to learn more about how to enhance Facebook Custom Audiences with your own first-party data using BlueConic’s connection? Andrew is a Senior Manager at BlueConic. He has spent the bulk of his career implementing and leveraging technology to help brands across different verticals achieve their marketing goals. At BlueConic, he uses that expertise to help customers see measurable success, increase adoption, and get them excited about the power of unified customer data.